So, it’s good to see some data relating specifically to UK and, in this instance, top performing brands and organisations using Facebook in the UK. The data was collected and compiled during August 2012. Socialbakers, a global social media and digital analytics company helps companies measure the effectiveness of their social marketing campaigns across all the major networks, Twitter, Facebook, YouTube, LinkedIn and Google+. With 40m Facebook users in the UK its good to see how the top brands are responding to this growing marketplace. 5 areas were monitored and the results are highlighted in the infographic alongside. 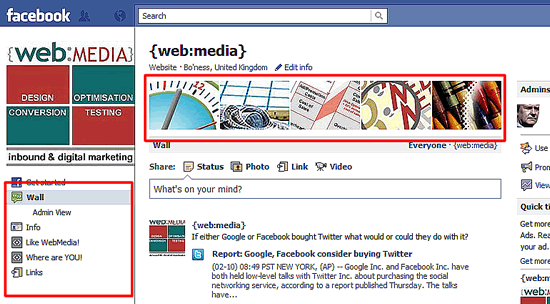 It’s interested the spread of business types and where they are focussing their Facebook activities on. In their post Socialbakers explains the difference between the Engagement Rates with the equations used to calculate them; the first one is based on the Post average with the second based on the total daily interactions. You can do the social media calculations for yourself or let WebMedia do it for you by calling 01506 517037 anytime from 9 till 5.